1. Dealerships can help you obtain a specific make/model. If you have a particular dealership you want to purchase from, but you want a car they don’t have, let them know. They may be able to work with nearby dealerships to get you the car, or they can be on the lookout at auctions to purchase one you may be interested in. 2. You could get better financing from a dealership than with your bank/financial institution. 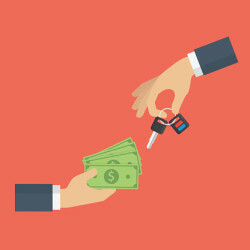 Banks and other financial institutions will usually give their members a good rate for vehicle loans, however the finance and insurance office at a dealership can also offer competitive rates. How do they do that? They shop rates for you, and then offer a loan based on their findings. Before you sign the dotted line at your bank, see what kind of lending opportunities your dealership has available. 3. Typically, on used vehicles, you are able to get an inspection before you buy. It may not be free, but it’s worth it. Buying a used vehicle can be risky business, so find a mechanic that can do a used vehicle inspection before you purchase the vehicle. Most dealerships will allow you to do this, and many mechanics are willing to go to the dealership to inspect the vehicle on the lot. Having an inspection done can help you uncover risks, and plan for potential future problems. Reynolds and Reynolds partners with dealerships to give you an outstanding buying or leasing experience. Continue to research what you need from your next vehicle, and keep an eye on sales at dealerships near you. With this knowledge and more, you’ll be able to thoroughly enjoy your next visit to the showroom.